Utah lawmakers have advanced a proposal to replace the full Medicaid expansion approved by voters in November. Ogden Republican Sen. Allen Christensen's SB96 got a favorable recommendation from the Senate Health and Human Services Committee on Tuesday. 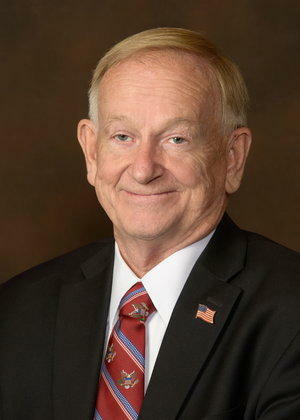 Christensen's bill would retain the .15 percent sales tax increase put into place by the voter-approved Proposition 3. But his proposal would cover fewer people. Just those earning 100 percent of the federal poverty level or below would qualify. For an individual that translates to roughly $12,000 or less, per year. Full Medicaid expansion would cover people earning up to 138 percent of the poverty level. For an individual that would mean roughly $17,000 or less in earnings per year. Advocates for full Medicaid expansion who helped pass Proposition 3 were vexed by Christensen's proposal. Stacy Stanford with the Utah Health Policy Project told members of Tuesday's committee meeting that the will of voters should be preserved. "We didn't vote for caps or delays or red tape. We voted for full expansion April 1st, no strings attached, no waivers. The voters got it right, and Proposition 3 is a superior law," Stanford said. Sen. Christensen said his bill would preserve the intent of Proposition 3 in a more fiscally responsible manner. He said that while he was philosophically opposed to expanding Medicaid, his bill was a response to the will of voters in his district. "If we had not passed Proposition 3, I would still be standing as an advocate to not [expanding Medicaid]," he said. "People say you're not listening to the public? I'm listening to the public. Because without this vote, I would still be an opponent of it, for philosophical reasons which I'm not going to dive into right now." SB96 passed out of the committee on a 6-2 vote. It will next be heard on the floor of the state Senate.